Crayola Crayons with Built In Sharpener Just $3.01! Down From $6.35! You are here: Home / Great Deals / Crayola Crayons with Built In Sharpener Just $3.01! Down From $6.35! Sears has this Crayola Crayons with Built In Sharpener on sale for $3.01 (Reg. $6.35)! Plus you can get FREE shipping on orders over 30 + FREE in-store pick up! 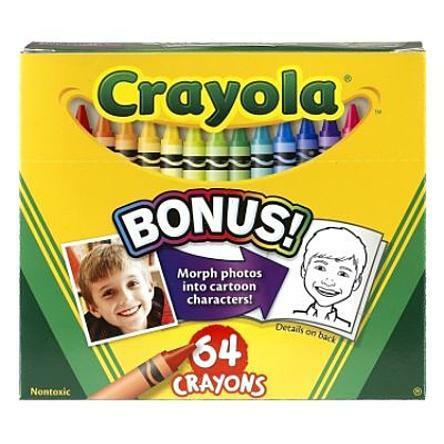 64 ct. Crayola Crayons are the classic kids’ art tool. They are the colors generations have grown up with. Crayola Crayons are designed with a focus on true color, smoothness, and durability.